I love painting my nails. A pretty mani can be the perfect accessory to your outfit, and even a way to experiment with colours you might be a bit nervous to put into your wardrobe. 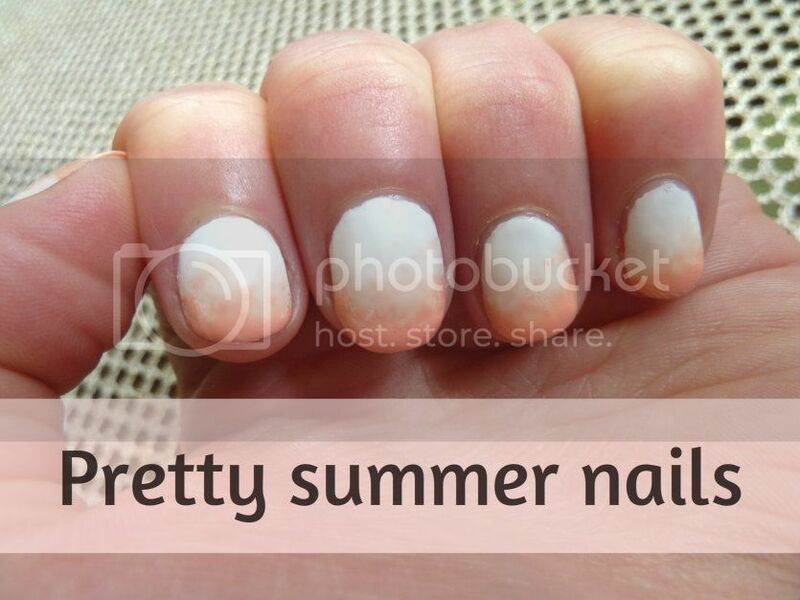 Since finding out how to do this mani, I am a woman obsessed! I want to do it in pretty much every colour combination imaginable. And since I’m a caring-sharing kind of girl, I’d thought I’d do a little tutorial so you can join in too! Just a little note before we start though- my DSLR have been sent across to my big sister in Newcastle to take on her honeymoon next week so I’m using my little camera on the blog right now. The picture quality isn’t quite up to scratch so apologies for that. 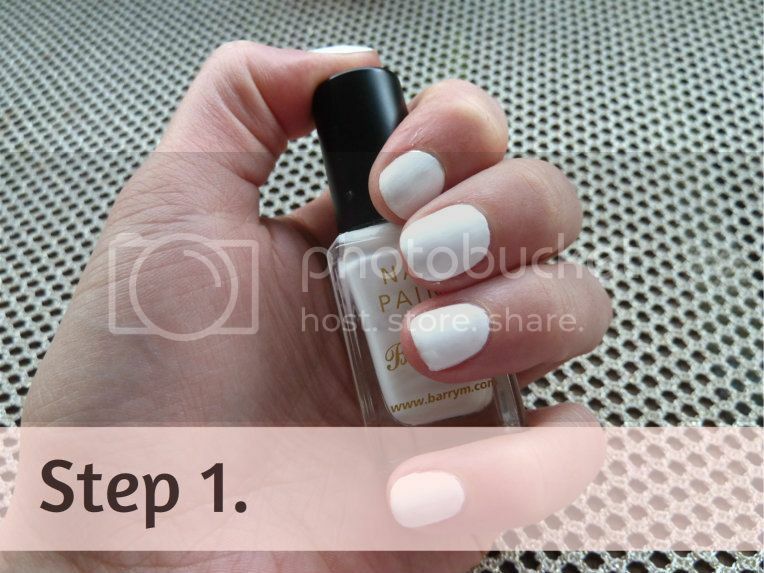 Paint your nails in your base colour, the colour that you want by your cuticles, and let it dry completely. On your cling film, make a little puddle of clear topcoat varnish, and mix in a few drops of your accent colour, the colour you want on your tips. This will make a slightly sheer polish. Dip your cotton pad or sponge into this and dab off the excess. Then start dabbing it over your nails starting from the tip and working down the nail. Be quick, the polish mix will dry out fairly fast. If it gets too sticky or lumpy, mix up a new puddle! 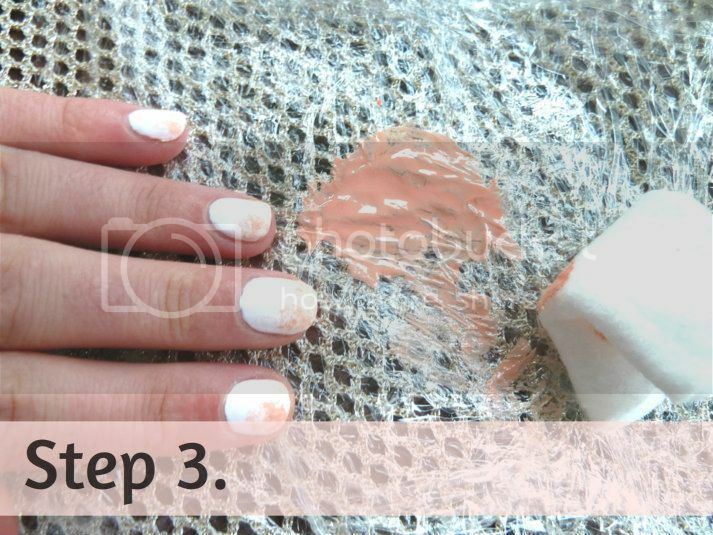 Do the same again, staying closer to the tip to deepen the colour. Then for the very tips, make a little puddle of your pure accent colour, and dab that onto the ends of your nails to deepen the colour. 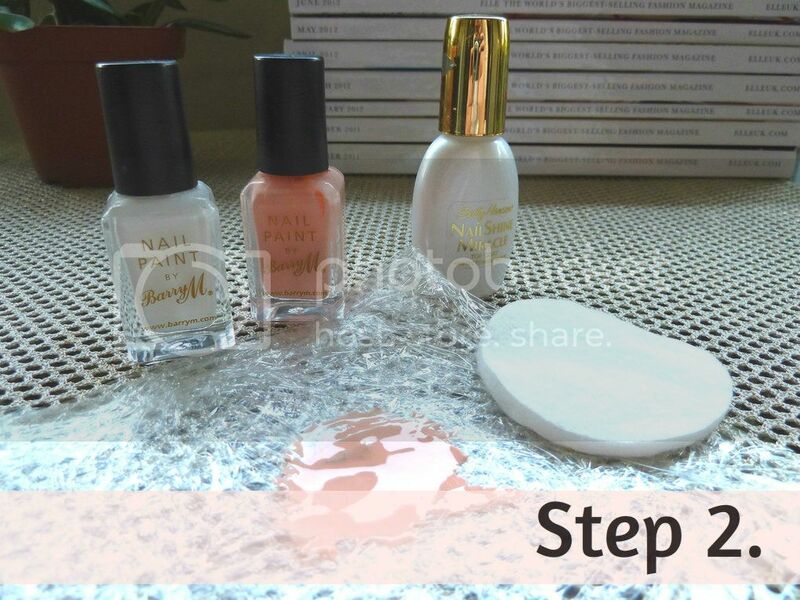 To give it a smooth surface, finish it all off with a layer of topcoat. This also makes the gradient flow a little better- you can see in the picture, that my index finger hasn’t had a topcoat yet and looks alot rougher. Let it all dry properly and you are ready to go! 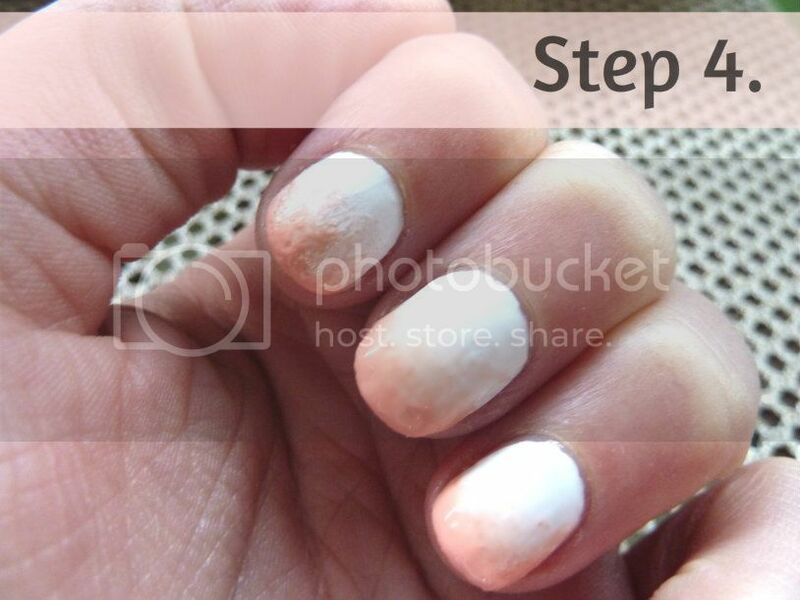 Ombre just one accent nail, like your ring finger, with the rest in one of the colours.